Hops. Most brewers love them. The vast majority of craft beer drinkers can't get enough of them. Growers the world over are developing new varieties and expanding their farms as fast as they can. And new growers are trying to get in on the act as quickly as they can. The problem: there's still not enough to go around, at least when it comes to some of the most sought after new aroma and flavour varieties. There have been hop shortages in previous years, leading brewers to find alternatives, to shop around to snap up whatever they can at inflated prices, or to abandon certain beers until they can get their hands on what they need. But 2016 promises to be the toughest year yet for brewers – commercial and amateur. 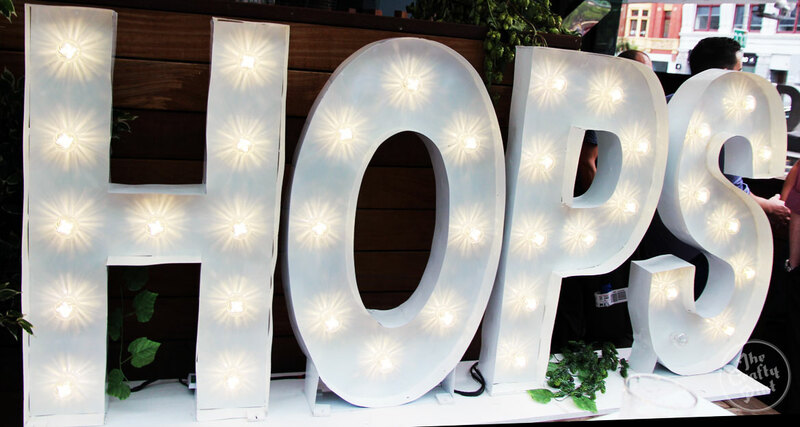 A couple of weeks ago, we published an update from Hop Products Australia on its predicament: severe storms wiped out around 40 percent of the expected yield from farms in the Victorian High Country. However, this is far from the only issue facing anyone selling hops or brewing with the most popular varieties. So, with hop harvests set to commence across Australia, we put questions to four of the main players in the Australian hop industry. 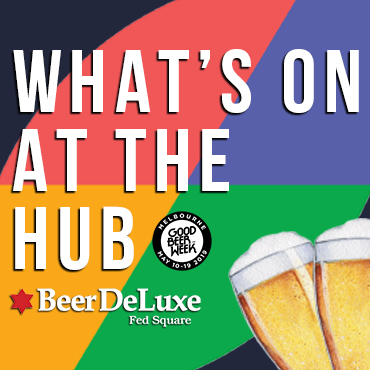 We asked them where the shortages are likely to be, what is being done to ameliorate the issue and, perhaps most importantly, for their advice for brewers on how best to future proof their beers. Do you expect to have a shortage in your hop supply this year? If so, how significant? And which varieties are most affected? Jon Burridge: Based on current forecasts, we believe only five percent of the varieties we range will suffer from some sort of shortage. That five percent is made up of signature hop varieties – Nelson Sauvin, Riwaka, Citra, Simcoe, Mosaic and Galaxy – for which the increase in demand is greater than the increase in availability. I believe this issue is not only confined to Australia as worldwide we are seeing similar reports. Combine this with HPA’s forecast crop shortage due to recent weather conditions, and we will see some brewers face reduced or no access to the signature hop varieties they require. Greg Croke: A lot of time effort and money goes into growing hops and nobody ever wants to see or hear about another primary producer suffering any form of loss. At Ellerslie, we were lucky that none of our gardens were affected so we find ourselves in the position of now trying to juggle supply of our hop range to meet the increased demand. We're doing "loaves and fishes" to help out people people who got hit by what happened to HPA. It happened to us a few years ago with floods. Owen Johnston: It is usual for some varieties to go "short" every year. Hop supply is ideally "balance" with over- or under-supply being minimised. 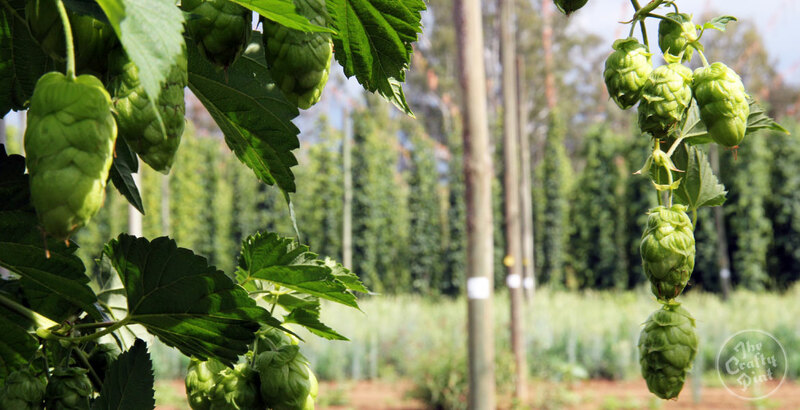 Year on year, which varieties go short can change due to supply factors such as growing conditions, or to demand factors, such as a hop becoming popular in an emerging style of beer. This year we expect to have some shortages due to both supply and demand factors. The supply of some varieties was affected recently by a weather event on HPA’s Victorian farm. Affected varieties were Vic Secret, Galaxy, Ella and Topaz. Although the magnitude of the damage will not be known until harvest time, it is expected to be a significant factor this crop year. Demand for particular varieties remains very strong – Galaxy, Enigma and Vic Secret in particular for HPA’s proprietary varieties. Dale Meddings: If you look at the overall Australian hop requirement, there are enough hops available to cover it. It’s when you get down to the level of specific varieties that the shortages are apparent and even glaring in some instances. There are certain hops that really do sell beer, in particular [certain hop forward] styles of beer that are booming at the moment. It is with these varieties that we’re seeing shortages and so the impact is on the growth segment of the market which makes it significant. The big US varieties such as Citra, Simcoe, Amarillo, Mosaic are typically the in demand varieties that run out each year. These are the varieties that are getting the punters excited and moving some litres of beer. This is not just the experience in Australia but globally as well. Demand has often far outstripped production for many of the New Zealand varieties and, in Australia, Galaxy has posed some problems in recent years. Even for some of the more stable varieties there is not much of a spot market though, so it’s not uncommon for varieties like Fuggles or Saaz to be in short supply. Why is there a shortage this year? JB: Some breweries are achieving great success with the beers in which they utilise these hops, therefore they require extra volume and in turn extra ingredients. Other breweries are witnessing the success not only of these beers but also the popularity of certain hops and adjusting their recipes to include these varieties. It’s hard to define [why hops are so popular] but the entire beer market is currently talking about hops and with increased awareness and education there is a significant thirst for more humulus lupulus. OJ: Sustained demand-driven shortages take time to solve as they require expansion of land under trellis for growing hops. Much like a brewery at its production capacity, a hop farm can experience significant equipment hurdles in attempting to lift production. HPA has been undertaking expansion and investment in equipment throughout 2015 and into 2016. DM: Quite simply there is more highly hopped beer being sold. Beer drinkers are looking for more flavour and hops are providing it. The production of low hopped macro beers is sliding while the demand for well hopped beers is ever increasing. Despite the overall beer market being in decline, the average hopping rates are continuing to increase. The trend toward more highly hopped beer is very global now. Is this a first for you? Do you expect it to become commonplace? JB: We have experienced it before on some varieties but not to the scale I’m seeing based on 2016 forecasts. I don’t expect it to be commonplace but this storm won’t pass quickly. You see, it's all based on Mother Nature at the moment. Farmers worldwide are planting more and more to cover the ever growing demand but all it takes is one season of poor weather forcing a low yield and the hop deck of cards falls down. Currently, we are seeing examples of this around the world and fingers crossed we never see a worldwide situation. OJ: This is not a first, and we do not expect dramatic weather events to become commonplace. Sustained changes in demand for different varieties is relatively new, and HPA is working to stay aligned with changing demands. There have been six new varieties released over the last six-plus years, and a shift in the production mix from 80 percent bittering to 80 percent flavour hops. DM: This is most definitely not a first for us and should be no surprise to any brewer. These shortages have been commonplace for a number of years, particularly on the US aroma varieties mentioned above. It is expected that supplies of some of these varieties will be tight for a number of years; this is despite unbelievable investment in both acreage and production capacity in the US. One worrying issue looming on the horizon is a fast widening gap between the supply and demand of alpha varieties. If the price of alpha spikes like it did in ’07 this will put pressure on the aroma acreage. Wouldn't you like to get your hands on these? 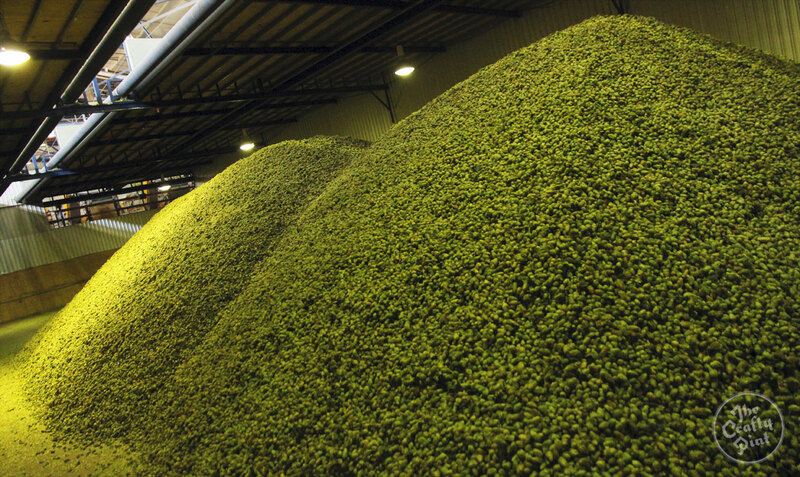 Hops piling up during a past harvest at HPA's Bushy Park processing plant. How are you trying to manage the issue? JB: It’s an ongoing project. First, we approached our suppliers and even the growers; some success was achieved here but the results won’t be instant. Next, we scoured the globe looking for any other avenues; needless to say, all we came across were similar hop merchants in the same position. At this point the realisation was that there would be no short term extra supply on these signature varieties, so it was all about how we manage what we have got and preparing for the future. We are currently communicating with brewers and asking for their requirements. We will then be advising some breweries of a shortage, and in some cases zero availability, on the hops they require. This would have to be the most difficult task I have ever undertaken in the beer industry! What makes it so hard is that these beers have helped provide the success for these breweries to be who they are today and taking away these hops you can’t help but feel you’re your taking away a small part of that beer's integrity. However, at this point brewers have to remember we are reliant upon an agricultural product and, therefore, in Mother Nature’s hands. We have also spent countless days working out who gets access and who doesn’t – believe me we are taking this very seriously – and even created a criteria for approving these allocations. We offer substitutions were possible and adaption is required on the brewers' behalf. We can only hope this hiccup is short term, remembering it's only based on a small number of varieties, meaning there are still others varieties that can take their place. GC: At Ellerslie, we have put a lot of resources and money into safe guarding ourselves against both drought and flood but, as primary producers, some things are just out of our control. We doubled the size of the place seven or eight years ago and are looking to do that again this year because of the new exciting varieties we have. We grow Pride of Ringwood, Superpride, Cluster, [new aroma and flavour hop] Melba and, to be released this year, our new variety Astra. Increasing acreage again, as you would appreciate, is an expensive operation but it is one we are happy to do as being a part of the growth in the brewing industry is exciting. We are always working on developing new varieties and we work closely with a couple of microbreweries to help develop new and exciting hops. At present, we have quite a few other varieties working their way through our evaluation process (yield, growth pattern, alpha and flavour profiling) and we feel that we are entering an exciting growth period of New World hops and Ellerslie is well placed to meet the demands and challenges put to us by brewers looking for something new and different. OJ: HPA is attempting to manage the situation in two ways – we have two farms in very different parts of the country. Most varieties are grown on both farms, further mitigating risk of a significant crop failure. Over the last two years, HPA has been working directly with an expanded customer base, including small, independent and craft, to gain better insight into future demand, trends and issues facing the industry around hop supply. In response, we have increased our imported hop inventory and started to sell box by box from store here in Australia. DM: Bintani’s contribution to ensuring that Australia receives the hops that we need is to maintain long term contracts with growers and dealers to help make sure the right varieties are going into the ground. Long term contracts also give the growers the security they need to purchase and plant their next 1,000 acres. Contracting is a newish concept in some segments of the market but without it the rapid expansion in the US would not have been possible. Do you have any advice for brewers on how to deal with potential shortages or plan for the future? JB: Communicate with your hop suppliers and keep an eye on the hop industry, not just here in Australia but worldwide. Short term, avoid recipe development involving these signature hops as you will just be breaking your heart. With success comes extra volume, meaning you will need to have the supply and, if it’s not available, you may as well book yourself into the Heartbreak Hotel! Also, utilise your hops better. It's sad but true that we see a lot of brewers using amazing aroma varieties for bittering as well. Get smart and select hops for specific purposes and outcomes; single hop may look great on a label but it's Russian Roulette. If you are relying on one hop for a beer, make sure you have a backup plan in case that one hop disappears. We suggest safety in numbers with multiple varieties [in each beer], therefore if one hop disappears the impact won’t be as prominent. GC: As we are part of the ever-changing global brewing market I suggest that brewers forward contract their hops. We find with our customers in the USA, Europe and the UK that they will cover at least 75 percent of their requirements by forward contracting for three to four year periods; so far, the Australian brewing industry primarily still works on the spot market and expect hops just to always be available. At Ellerslie, we will support the Australian market before the international one. If you're making a beer with Melba, I will continue to grow it for you as long as you are making that beer. We are a fourth generation Australian family business so will always support our own backyard. OJ: If brewers are in a position to forward contract their crop year requirements, from May to May, that is the best way to ensure supply. Without forecast and contracting, suppliers cannot get transparency on the demand that is possibly out there. When making decisions about production and the variety mix on the farm, if transparency about demand is not good, the decision making is more speculative. As the brewer, if you identify a shortfall early enough through discussion with your suppliers, look at blending in substitutions. For example, if Galaxy is short, undertake acceptance testing with a 10 percent Citra blend. If that profile is OK, step the Citra up again, until the beer profile no longer represents what you want. Once you have identified the shortage in your recipe, make this substitution as early as possible. If you have identified your shortage, consider lowering your dose rates too. You might only be faced with a 10 percent reduction – but if you don’t take action, you might face a step change in the recipe or the choice of not brewing it. No one likes those choices. In the same spirit of acceptance testing, try a 10 percent reduction in your hop grist – can you tell a change from 200g/HL in the whirlpool down to 180g/HL? Shop around. If your favourite supplier has run out, ring around. If you find it, order as much as you can handle, pay for it and take into your possession. It’s just easier that way. You can see what you have in your store every time you walk past it – you’ll notice it and stay on top of the situation. DM: Our first answer here is always to contract your hop requirements. Doing this gives the brewers the greatest chance of securing the hops they need. It does this by feeding information directly back to the growers so they have the best information possible to manage their plantings and expansions. Without this flow of information back from the market the growers are guessing. The other alternative is to shop outside the square a bit and experiment with other varieties. Maybe look at working in some Comet or Palisade to your hop roster. It’s not always going to work but if you can reduce your reliance on Citra a little bit it’s probably a good thing while the market is like it is. Shortages, at least for key varieties, are likely to be an ongoing issue. Forward plan and set up contracts for your hops as soon as possible. If possible, be creative and see if you can achieve the same results with less reliance on varieties in high demand. Be smart: don't waste hops for bittering if you can use alternatives and don't throw more hops at a beer than is necessary to achieve the desired outcome. For other Big Issue features on The Crafty Pint, head here.